Our range of products include air jet bottle cleaning machine, aseptic liquid filling machine for injectable liquid, automatic induction cap sealing machine, automatic linear bottle filling machine, automatic linear vial washing machine and automatic six head capping machine. Buyers, looking for a fast, reliable and functional mechanism should buy the Air Jet Bottle Cleaning Machine manufactured by our experts. With an impressive combination of professional skills and utmost quality, we are one of the top leading manufacturers and suppliers in the country that design a fully functional bottle cleaning solution. 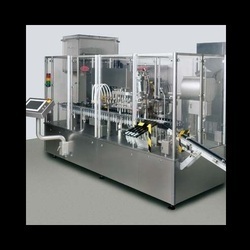 Framed out of high-quality raw material this machine cleans bottles with air jet technology. We are manufacturing Automatic Aseptic Liquid Filling Machine for Injectable Liquid with Customized Solution and competitive price. We have exported this machine to Japan, Turkey, Bangladesh, Pakistan, Jordan, South Africa and Iran. Please do contact us for further information. 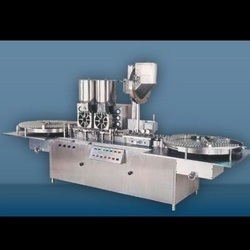 We are manufacturing Automatic Induction Cap Sealing Machine with Leak-Proof and Advanced Technology please do contact us for further Technical Information. 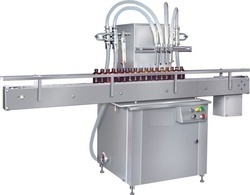 We are manufacturing Automatic Linear Vials Washing Machine with an output speed of 250 Vials Per Minute please do contact us for further Technical Information. 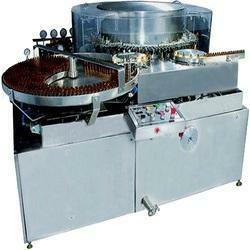 We combine utmost quality with a leading mechanism to design Automatic Six Head Capping Machine. 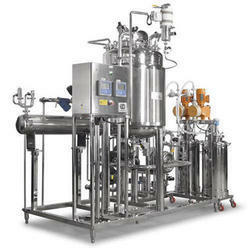 The technical specifications and competitive pricing make this machine the best choice for the pharmaceutical industry. The brilliantly engineered six heads provide faster and efficient capping functionality. Framed with finest grade material, this machine is worth for its price. 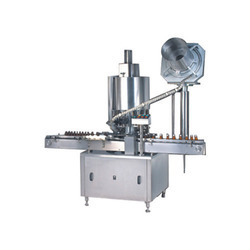 We are manufacturing Automatic Injectable Powder Filling with Rubber Stoppering Machine for filling Injectable Powder into Vials and Vaccum based Stoppering. 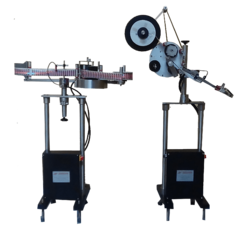 Complete Servo Based Technology for Filling with the accuracy of +/-1%. Please do contact us for further information. 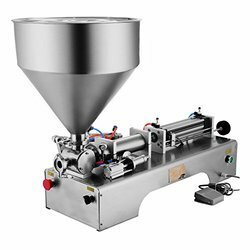 We are manufacturing Automatic measuring Cup Placement Machine without output speed of up to 240 Bottles Per Minute and are exporting to Pakistan, Bangladesh, Germany, and South East Asian Countries please do contact us for further information. We are manufacturing Turn Table of 24", 30", 36" and 48" with AC Variable Drive please do contact us for further information. Our expert staff has designed this Automatic Four Head Screw Capping Machine with keeping the pharmaceuticals industry in mind. 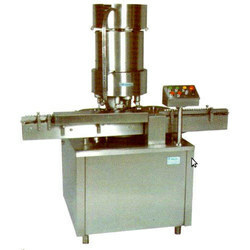 It is fully automatic and the product change over across its four heads is quick and very easy. Framed with the finest grade of raw material, we take pride in exporting this machine to the European countries. The machine lies in the field of our core competency, which makes it the leading and most innovative product. We are manufacturing Automatic External Vial Washing and Drying machine with a customized solution and cost-effective rates. We are manufacturing Metal Screw Capping Machine to African and Middle East Countries. Please do contact us for further Technical Description of Products. We are manufacturing Peristaltic Pump Based Filling Machine with Customized Solution please do contact us for further information. 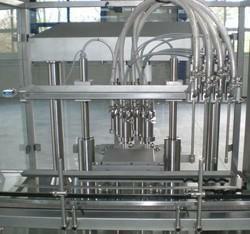 We are manufacturing Sterile Injectable Powder Filling with Rubber Stoppering Machine. 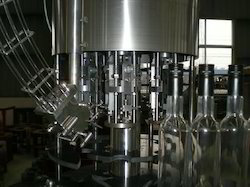 A filling is done through Servo Based Technology and Stoppering is done through a vacuum. This machine is having an output speed of approx 120 Vials Per Minute with Vaccum based stoppering. We have exported this machine to IRAN, Saudi Arabia, UAE, Middle East, and Latin American Countries. we would like to request you to kindly contact us for further techno-commercial discussion of products. We are manufacturing Automatic Hologram Applicator with Out Put Speed of up to 300 Holograms Per Minute please do contact us for further Technical Information. We are manufacturing Automatic Self Adhesive Sticker Labeling Machine with Servo Based Technology for Accurate Placement up to 300 Containers per minute. 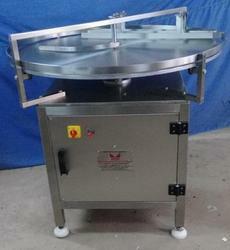 We are exporting this machine to OMAN, Nigeria, Pakistan, Bangladesh. Capacity 60 to 70 Ampoule/min. 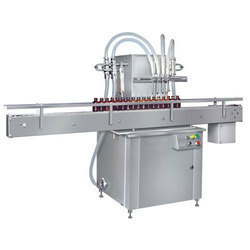 We are manufacturing Automatic Visual Inspection machine for Liquid Filling Specifically for Pre-Filled Syringe as well as Vials with Fully Automatic System. We are manufacturing Semi Automatic Pre-Filled Syringe Filling and Closing Machine with an output speed of 3600 Syringe Per Hour and exporting to Germany, Latin America, Bangladesh, Pakistan, Europe and South East Asian Countries. Please do contact us for further information. 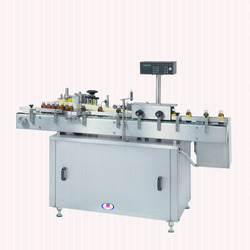 We are manufacturing Automatic Vial Sealing Machine with Out Put Speed of 350 Vials Per Minute. 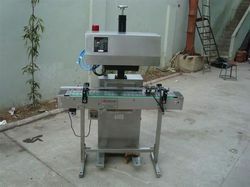 We are exporting this machine to Algeria, Sout Africa, Russia, South East Asian Countries and Latin American Countries. Please do contact us for further Technical Specification. 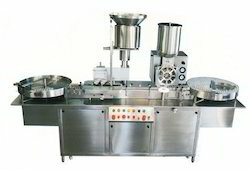 Looking for Pharmaceuticals Filling and Packaging Automation ?